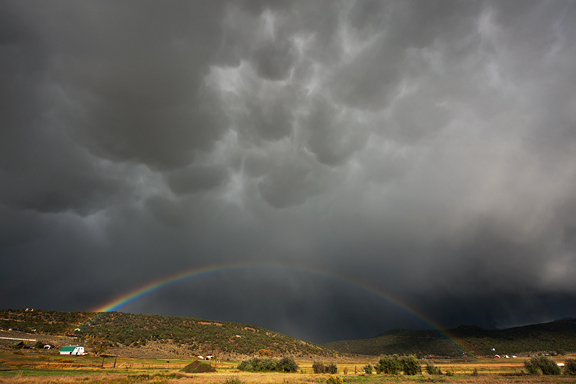 Sucker holes are those enticing blue spots that occasionally make an appearance through stormy or overcast skies. I learned that terminology from Jeremy a couple of decades ago. Sucker holes. It’s what we’d identify while backpacking or hiking the high country, indicating a thinning of clouds, perhaps even clearing skies. But the reason they are called sucker holes is because they give you hope for better weather. The nomenclature seems particularly apt for nature photographers. Clouds sloshing about in the turbulent atmosphere open and close the windows to the blue skies above. We chase them in the hopes of capturing something magical. 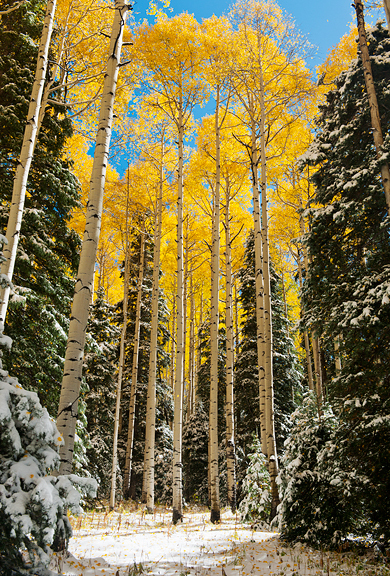 The storm system that swept over Colorado delivered a nice infusion of snow to our mountains. Many of the ski resorts reported several inches as they began snow-making operations for the season. Forecasts all pointed to sunny and clear weather for about a week after the system passed. That’s good news for people who like that kind of weather, but rather dull news for photographers. 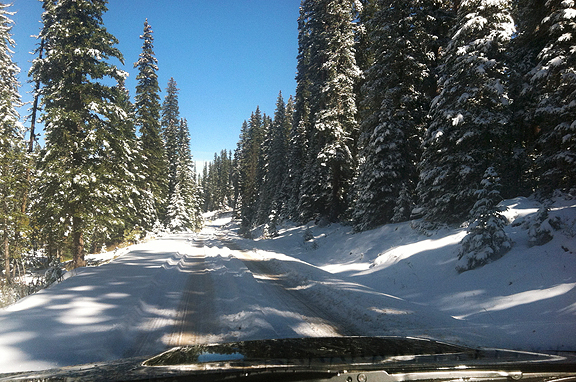 I packed up and shipped out, driving back to Crested Butte via back roads. Fall photography benefits tremendously from flexibility in one’s schedule, because the leaves, the atmosphere, and all of the other ingredients are going to chug along at their own pace. I emailed Jeremy that I was tired and wrapping up for the season. He drove out from Boulder to Crested Butte for the weekend to help me pack up and get our place ready for winter. 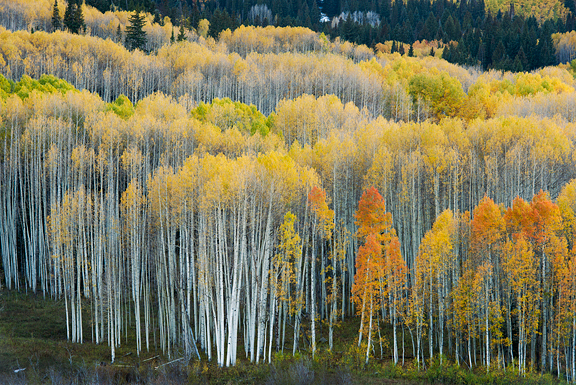 It just so happened that my friend and mentor, Michael Frye, emailed me from the road that he and Claudia were Colorado-bound to chase some aspens and did I have any aspen reports. I convinced them to swing through Crested Butte and spend a night with us so we could talk fall colors and show them around the area, but also because they are such a delightful and fun couple. 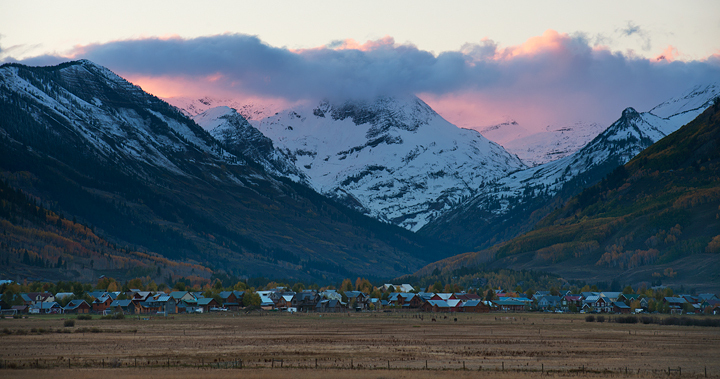 Jeremy is always bummed to leave Crested Butte, because it is his Very Happy Place. I’m sad to leave, too, but I am quite happy to go home to Nederland. Our favorite neighbors will be returning from their summer season in Canada, there are projects planned with various friends, I look forward to seasonal produce at my favorite markets in Boulder, and I can cook out of my #1 kitchen once more! 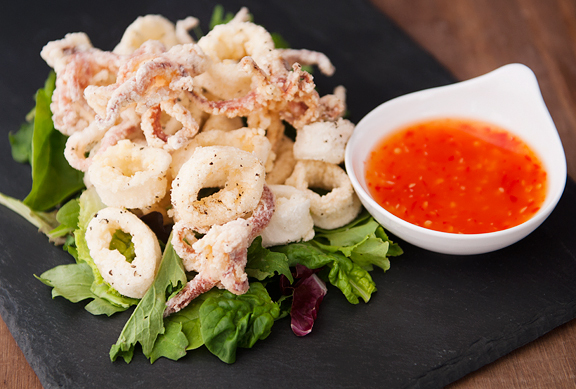 So while I’m on the road home, you can consider this recipe for Thai fried squid (calamari). It’s my parents’ go-to appetizer when we dine out at the local Vietnamese restaurant in Boulder. My main motivation for making this appetizer was to dip it in the Thai sweet chili sauce I made earlier. It’s a perfect pairing if you love squid. Even if you don’t love squid, you could fry mushrooms or zucchini or tofu and it would still be great. They key here is: frying + Thai sweet chili sauce = awesome. Math 101. This just happens to be a gluten-free recipe as it uses cornstarch for breading rather than flour or bread crumbs. 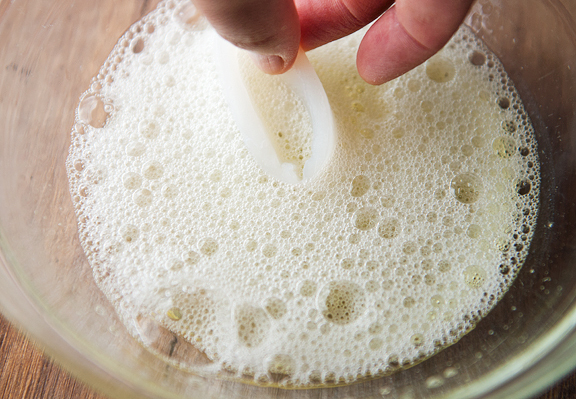 Regardless of what you use to bread the squid, it gets a little messy and you’ll probably need to clean/wash your hands off several times. But it’s worth the mess. 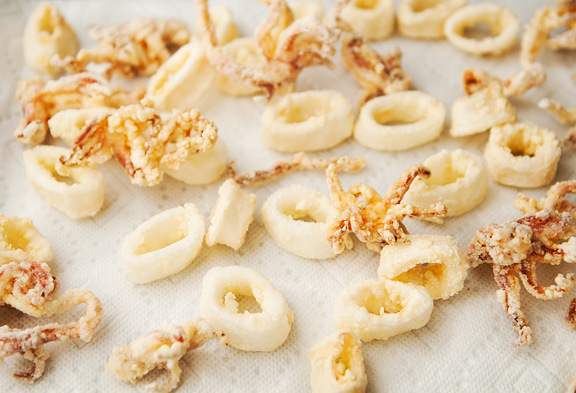 Bread and fry the squid in batches so the early ones don’t get too soggy waiting around. It takes a couple of minutes for the squid to cook. As with any fried dish, these are best eaten fresh and hot to maximize the crisp outer coating. If they get cold, I’m sure you can revitalize them with a little oven time. The fried squid were perfect when dipped in the Thai sweet chili sauce. You aren’t required to serve this with the chili sauce, but it’s so easy to make your own – why not?! You can also try a garlic aioli or ponzu or just give it a squeeze of lemon. Whatever you decide, I hope you love it as much as we do! Cut the squid tubes into 1/2-inch rings. Pat the rings and tentacles dry. 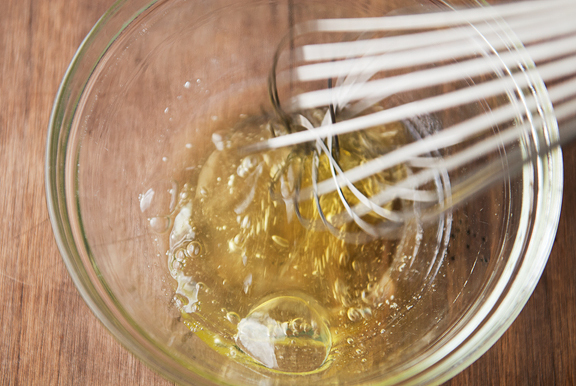 Heat an inch of oil to 350°F in a large, deep pot for frying. 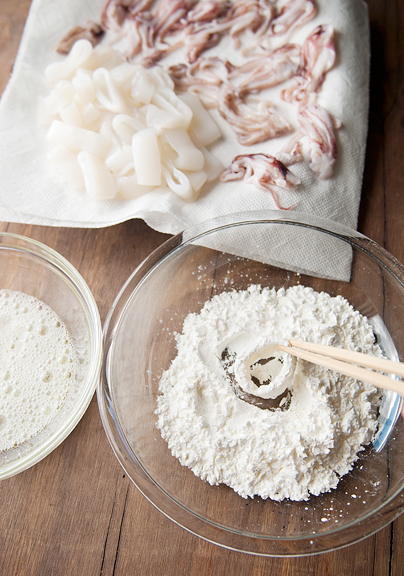 In batches, dip the squid pieces into the lightly beaten egg whites and then dredge the pieces in cornstarch. 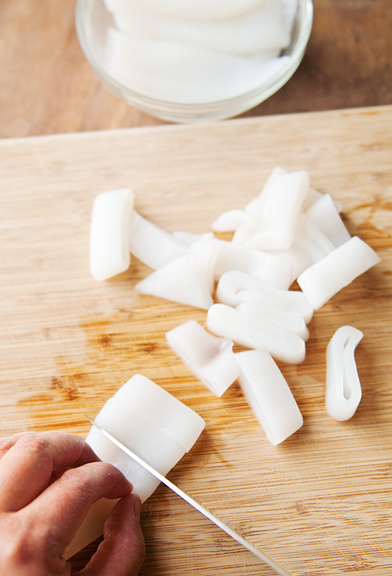 Carefully place the squid into the hot oil and fry for about 2 minutes. 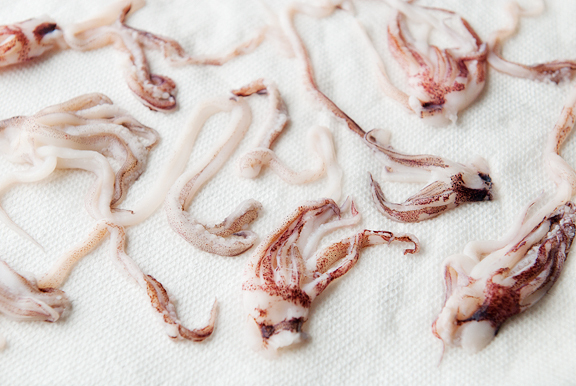 Remove the fried squid from the oil and drain on paper towels. 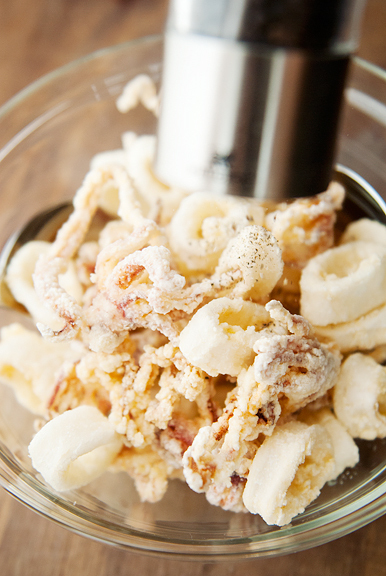 Toss the fried squid with salt and pepper (to taste) in a large bowl. Serve with Thai sweet chili sauce. Your photos are stunning! I’m actually going to be driving cross country next week and I’m so excited to see some spectacular fall colors! Isn’t it lovely that you have a Home Sweet Home, and a Home Sweet CB. Best of both worlds. 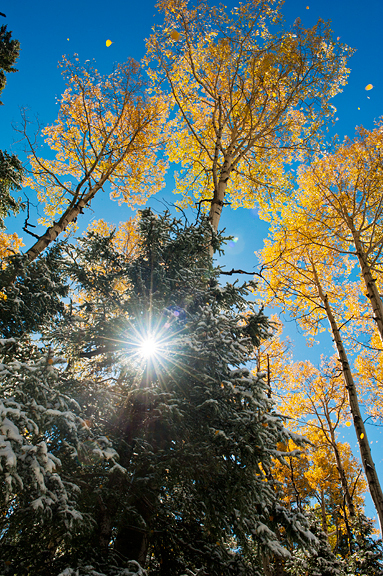 Your fall photog has been extraordinary. The time you must spend, seeking the perfect lighting. Your skill amazes me. Passing on the squid. Sorry. Your blog always brightens my day. Love your photography. Thank you for all the time you put into your blog. I wholeheartedly agree with Karen. It’s a nice to wake up to coffee and read your blog in the morning before I start my day. Your pictures make me miss our weekend away to Bar Harbor and riding our rented mtn bikes around Acadia National Park and hiking up Cadillac Mtn! You really make me want to visit CB next! I think it’s so Awesome that you made your own thai sweet chili dipping sauce! I always buy them at the Vietnamese grocery market, but now I can make my own. Thank you for sharing. I was just curious, does this taste vastly different from your Chinese Salt and Pepper Squid? 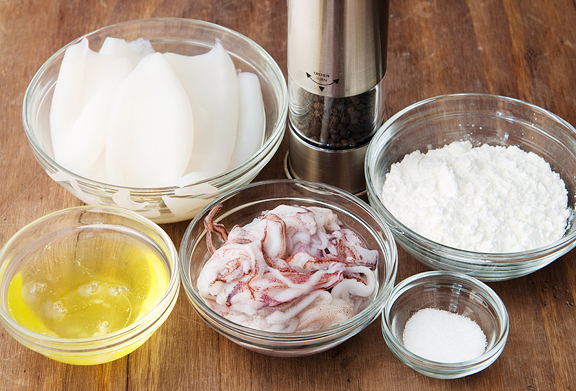 http://userealbutter.com/2011/01/03/chinese-salt-and-pepper-squid-recipe/ … because it looks essentially the same, apart from the egg white and flour/cornstarch I don’t see much difference? Can you share the name of the Vietnamese restaurant in Boulder? 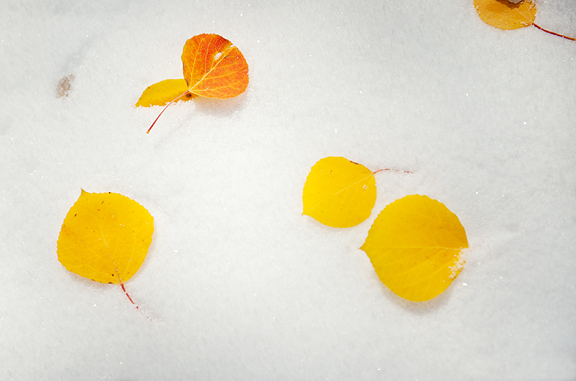 A side note: Route 133 from Paonia to Redstone was glowing gold Monday. Even without fancy camera gear I was able to get a few gems with my iphone. Really, when Mother Nature does all of the heavy lifting it is hard to get a bad shot. Yours are incredible: Mom Nature + Jen’s eye = spectacular! Liz – great! I hope you catch some nice ones! jill – awww, thanks! It certainly take time and some knowledge to find the right ones sometimes! 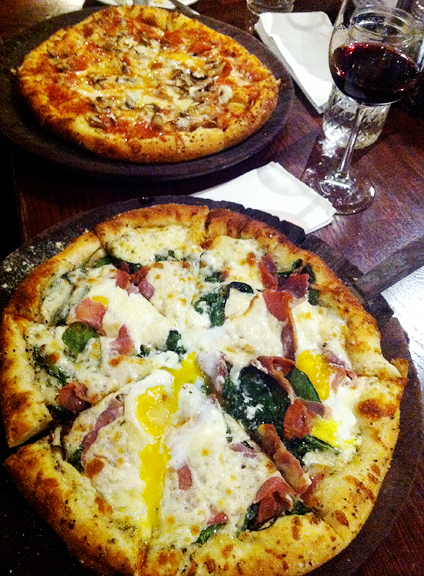 JulieT – oh yes, it’s Chez Thuy. Their fried calamari is totally different from this one as is the dipping sauce, but my parents love it. Glad you caught some fall colors! How I love your version of church – I feel exactly the same. 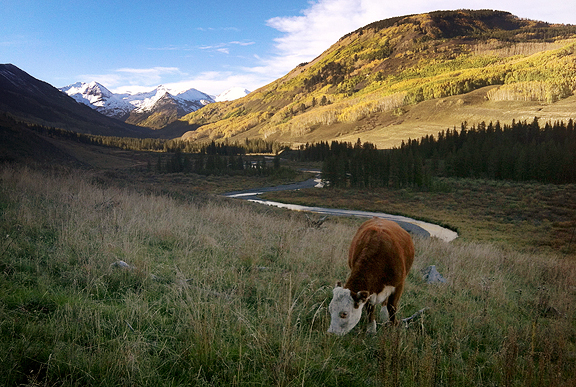 Your blog makes me green with envy – I would love to live in Colorado.